Still can't figure out for the life of me why anyone would operate a tractor in a suit! News Radio was a great show. Phil Hartman was hilarious on it. And what's even worse crow, Eddie Albert was always dressed to the 9's no matter how dumb the episode. I had a friend in high school that was a 1st class pothead. He told me that Green Acres made him feel like he had taken a hit even when he didn't light up. Unbelievable! I'm likin' those title gags. I'm lovin' Eva Gabor. Leave it to Beaver is also a great show. Being mischievous never looked so good. When it comes to the 1960's it was an embarrassment of riches. From 1965 to 1969 there was too much good stuff. The Addams Family, The Munsters, Bewitched, I Dream of Jeannie, McHale's Navy, Hogan's Heroes. From magic powers to funny Nazis, 60's TV had a variety of sitcoms unlike anything my generation had ever seen, up to that time. Just take F-Troop. The entire show was politically incorrect and like "Green Acres" may have been ahead of it's time. ABC actually got hate mail because of the "Hekawi Tribe", and it's funny treatment of the first Americans. But it was all for laughs and me and my friends simply found them funny. Frank de Kova as "Chief Wild Eagle" was brilliant! I think the Hekawi Tribe actually stole the show away from Forrest Tucker and Larry Storch. Aren't those guys the same ones from the Ghost Busters TV show? Man, I enjoyed The Munsters a great deal. I really hated to see the series reboot deviate so far from the original (it deserved to be cancelled). Bewitched was another show I liked to catch during the afternoon. Who says high school has to be a drag? The king of queens was a really funny and great one too. Absolutely. 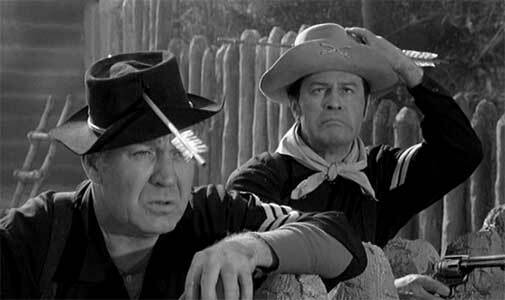 Forrest Tucker and Larry Storch became one of the best loved comedy duos since Dean Martin and Jerry Lewis. I've always believed that F-Troop survived an extra season because fans couldn't get enough of these two guys. 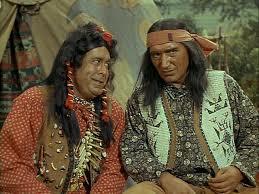 When F-Troop ended these two had offers up to their ears. TV, movies, radio, cameos, advertising - you name it and these two guys could've done it all. Tucker and Storch were in demand for late-night talk shows and as celebrity contestants on game shows. You might find this interesting, Forrest Tucker quickly discovered that wherever he appeared people would ask, "where's Larry?". It was clear the F-Troop had tied these two men together and it was quite a pleasant surprise when Filmation was able get these two to star in a new live action Saturday morning comedy show in 1975.